Another week, another Friday Favourites finished in the wee hours of Saturday morning. To say it’s been the most stressful Christmas Eve Eve we’ve ever had would be an understatement. Less than 12 hours ago, our top floor bathroom carpet was soaked, water had streamed down the walls of Jenson’s bedroom underneath and was pouring into the living room downstairs. Brilliant! Fortunately we’re renting and our Estate Agents got straight onto a plumber and now everything’s drying out. In fact, the lovely guys at Marshalls can go on the list of this week’s Friday Favourites. 1. Estate Agents. Within minutes of calling to report a damp carpet, someone was round to check it out and inform the plumber. When we called back a couple of hours later to say it was pouring down through the lower floors, they were back out sharpish, followed by the plumber. After shitting myself thinking that we were going to have to move out for a few days, the leak has been fixed and there’s minimal water damage. Woo! 2. Reindeer. 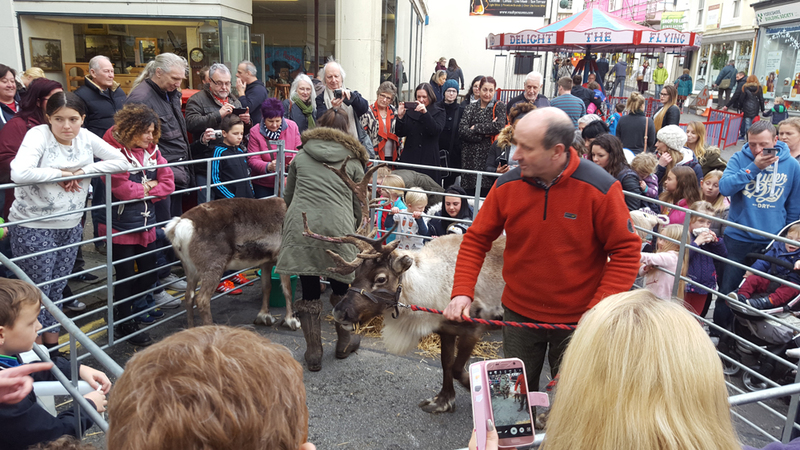 There were actual real reindeer in Penzance last week! There’s never fun Christmas stuff in Penzance! I was a bit more excited than Jenson (and when he met Santa and when we saw the Mousehole lights…). 3. Office closure. My job is aces. On top of my holiday and Bank Holidays off, we also get the week off inbetween Christmas and New Year. So I’m now off for 12 days in a row without it affecting my annual leave. And Luke only has to work for three of those days. Pretty cool right? 4. 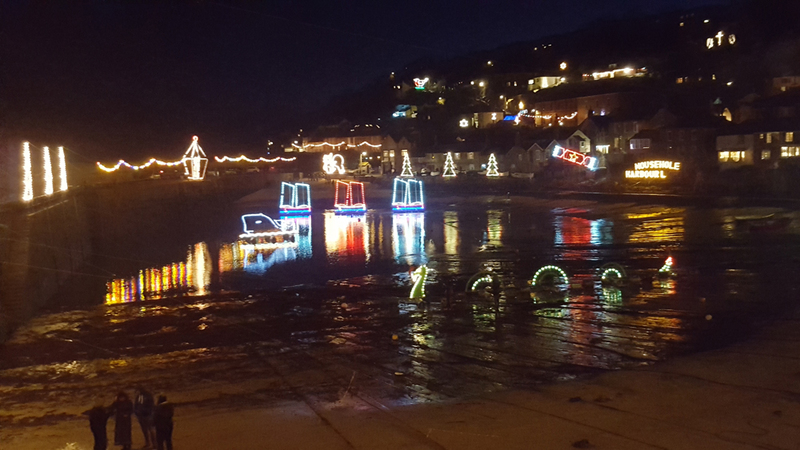 Mousehole Lights. So we went and they were awesome but we were only there for about two minutes. We made the effort to walk out so we could see the Newlyn lights properly on the way but Jenson has had a cold this week and totally wasn’t up for it. We had a quick look at the harbour and waited for the next bus back. He was a bit of a grumpy bum so we powered up the Twirlywoos app to keep him entertained while we waited – thanks Cathryn for pointing out that there’s an app! 5. This is Us. I’m only two episodes in and love it already! It definitely fulfills the Milo/Jess quota now I’m done with Gilmore Girls. I’m so intrigued about what happens to his character after the end of the second episode. Hopefully I’ll have time to catch up next week. Speaking of catching up, this will be my last blog post for a few days. I’m giving myself a few days off to spend time with my boys and just laze about without feeling the self-imposed pressure to write. I’ve got a couple of posts planned for next week looking back at this year and setting goals for 2017, so I’ll be back soon. Have a wonderful Christmas! The 12 days off has to be best thing here x ENJOY!